Welcome to the Haddam-Killingworth SC! 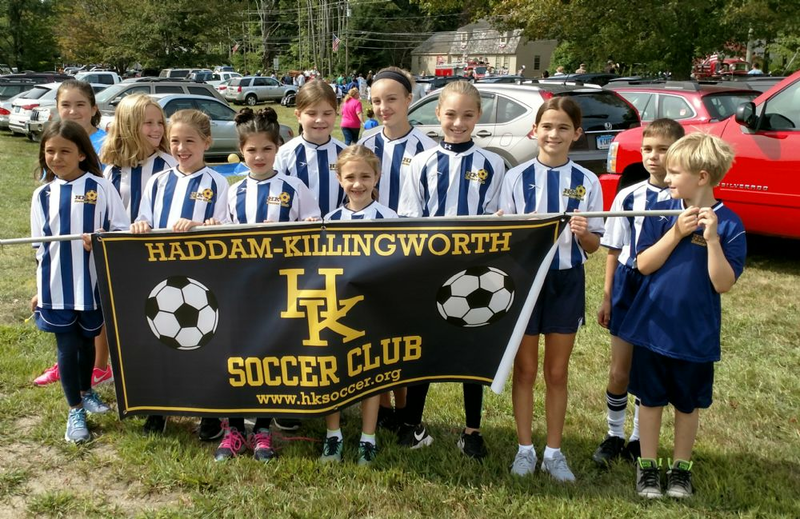 The Haddam-Killingworth Soccer Club was established in 1992 as a member of the Connecticut Junior Soccer Association (CJSA). The Club strives to promote the sport of soccer and to encourage fair and competitive play. Travel teams play in town and in the surrounding area during the fall, and spring seasons. We also host clinics and academies thought the year. Club home games are usually played at the Killingworth Recreation Park or at Great Hill Park in Haddam. Away games are generally played in the CJSA South Central District. Most games are within about 20-40 minute drive. The club welcomes players from 4-18 years old. Players are typically grouped by age first and then by ability when being placed on teams. The Club is always looking for volunteers to get involved. Please consider attending a club meeting or contacting us to find out more. Meetings re held on the 2nd Tuesday of each month. If you have any questions feel free to email anytime to .